Arizona Hardwood Floor Supply Inc.
No matter what your hardwood flooring needs, Arizona Hardwood Floor Supply, Inc. is the smart choice. We have been Arizona’s custom wood flooring specialists for over 30 years, installing and servicing all types of wood flooring for residential and commercial construction and renovation projects throughout the Valley. Our dedication to quality and outstanding workmanship can be seen in homes, schools, museums, office buildings and restaurants statewide. Phoenix Area's Best Resource for Hardwood Flooring and Hardwood Flooring Services Since 1972 Mission Hardwood Floor Co. is your source for the most beautiful new, reclaimed, or engineered Hardwood floors in the industry. For over 45 years, our company has striven to provide timeless quality and exceptional service that exceeds your highest expectations. Be sure to contact us, or visit us in our Scottsdale showroom today to see how we can make your vision a reality! Like the Masters’ enduring classics, each Mission Hardwood Floor is an original work of art, touched by inspiration and nature’s own unique imprint. 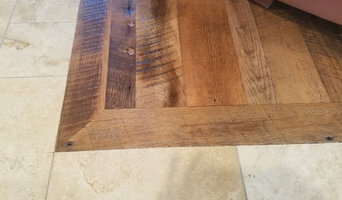 For half a century and four generations, Mission Hardwood Floor Co. craftsmen have been, and still are, creating each floor with fine woods, unique inlays and borders, finished in classic designs or individualized to reflect their owner’s very own taste. Using new or reclaimed pieces from over 300 species of wood, our craftsmen finish each floor to exacting standards, creating a unique piece of art that will never be duplicated. Our craftsmen also sand, repair, restore, and refinish Hardwood floors with the same high standard. Rare and exotic woods can be matched, inlays can be replicated and existing floors can be recovered to maintain their unique look for years and years to come. *Authorized Dealer of Shaw Floors* Choosing the perfect flooring can be a difficult decision, so we are here to HELP you find just the right flooring for your home or business. 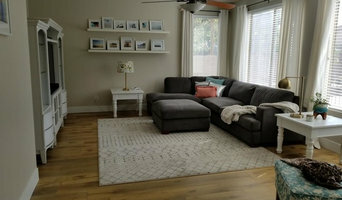 Located in West Phoenix, Arizona, serving the Sun City, Sun City West, Peoria, Glendale, Goodyear and Litchfield Park area, BRAM Flooring provides you with great solutions for every room in your home. At BRAM Flooring, you can choose from luxurious carpets in hundreds of colors and patterns, or the handcrafted magnificence of exotic and domestic hardwoods. We also have an expansive showroom and huge selection of tile, carpet, luxury vinyl, laminate and natural flooring options. BRAM Flooring can be your one-stop source for your entire flooring project. We help you in selection, room measurement, proper installation, finishing touches and even repairs. It’s service you can count on and the trusted brand names, such as Shaw, Mohawk, Beaulieu, Longust, Karndean, Monterrey, Daltile and many many more! 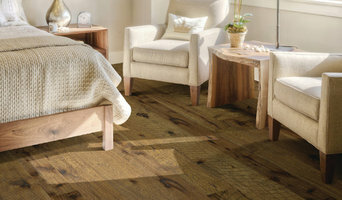 Select Wood Floors has been in business since 1989. We are family owned and operated. We've maintained the integrity of our company through a hands-on approach. We do this by upholding high-quality standards and continued customer satisfaction through delivery of an exceptional product which is also delivered in a timely fashion and we maintain our success through this hands-on approach on every project, therefore assuring your satisfaction. Our highly trained specialists are some of the best craftsmen in the business. We service you with experience and great attention to detail. We also leave your home clean and in good order. Our goal is your complete satisfaction where you are thrilled to show off your new hardwood floor and happy to tell others about your experience. Call us today to see how we can help you! Best of Houzz 2018' We are a retired U.S. Military, family owned and operated business specializing in hardwood flooring sales and installation as well as flooring refinishing/recoating. Our scope of work includes residential and commercial projects. Whether you’re considering a kitchen, bathroom, or entire house renovation, or simply need to replace or update your flooring, MicMar can help you do just that and enhance the enjoyment of your home. In short, our professional demolition crews and hardwood flooring crews can handle everything. People who desire the look of beautiful hardwood surfaces to reflect their personal style while meeting their performance and budget expectations have come to the right place. From simple beauty to sophisticated elegance, from rustic charm to contemporary styling, we work with you to provide products that complement your unique environment. In addition to any and all hardwood flooring projects, installations, sanding and finishing MicMar offers complete demolition and tenant improvement services. If you would like to remove doors, ceilings, windows, bathroom vanities or even take out a wall to enhance the space of your home, we can take out any existing features prior to remodel work then install your new hardwood flooring to complete the processes. Our Phoenix showroom was professionally designed and you’re invited to come into our showroom to see our incredible selection of exclusive woods in more textures, sizes and colors than you can possibly imagine. Tell us the area you want your new flooring or demolition, and we’ll provide the products, books, brochures, workshops, expertise to help you plan an installation that is distinctly yours. At Olympic Hardwood Flooring we have recognized that every one of our valued clients are as unique as their lifestyles. Unlike anyone else selling hardwood flooring products in the valley, the team at Olympic Hardwood Flooring takes time to truly understand each of our clients' needs, wants and desires. From function solutions based on how you use and live in your home to imaginative creations, either way we can assist you to find the right product. Whether for an investment property, your interim residence or your dream house: the knowledgeable, passionate staff at Olympic Hardwood Flooring can assist you with finding the right solution at the right price. Royal Wood Flooring LLC. 602-446-2613 offers some of the best wood flooring services in the Phoenix, AZ area. We work hand-in-hand with architects, designers, general contractors to ensure our customers achieve the wood flooring of their dreams. Skilled in all aspects of hardwood floor work, we use only the top of the line Bona and Dura seal wood flooring products. We have access to many hardwood flooring distributors in the Valley to provide our customers with a wide range of species, plank sizes, and grades of flooring. We are grateful for your business and the recommendations you provide to friends and family. *Authorized Dealer of Shaw Floors* Welcome to Floor Coverings International of Chandler and Ahwatuke. We are proud to be a locally owned and operated business serving Chandler, Mesa, Scottsdale, Tempe, Ahwatukee, Ocotillo, Gilbert, Queen Creek and the surrounding East Valley. We've been part of the East Valley for 25 years, and we're passionate about giving back to the community. Our experienced design associates will come to your home or office and provide a free in-home consultation. Our mobile showroom has thousands of options that you can view in your own lighting and customize with your furnishings. We provide high quality design and installation services with the latest flooring products including hardwood, laminates, carpet, stone, and tile flooring! We provide a complete turn-key solution that starts with design all the way through the installation. Our installers are recognized as the best in the East Valley. As part of Floor Coverings International and FirstService Brands, we are able to buy directly from the manufacturers and provide you the best prices and warranties. Our entire team cares about building a personal relationship with every client and making your journey and experience with us the best possible. We will help you find the perfect flooring that fits your needs for design, function, and budget. We look forward to bringing inspiration to your feet!" Diamondback Flooring provides a rock solid Low Price Guarantee, the Highest Quality Products in the industry and Exceptional Customer Service. After 27 years in the flooring industry we know how to help you to find the style, pattern and type of flooring that best fits your individual needs. From product knowledge and application to design and safety issues, we are committed to your satisfaction. Our knowledgeable flooring experts will discuss your needs, answer your questions and make suggestions to help you decide for yourself. We bring the show room to you so you can see the variety of flooring styles we offer in your own home. Brooks Hardwood Floors, Inc. is a family-owned and operated business that has served the Phoenix Valley for 30 years. Owners Bob and Colleen Brooks started this business after selling their successful hardwood flooring business of six years in Washington state and moving to beautiful Arizona. This experience, along with quality customer service, attention to detail, and a strict adherence to schedule are qualities you can expect from this Arizona hardwood flooring company. With today’s rapid pace, communication is paramount. We strive to keep our customers well informed and up to date with our work progress on their homes or businesses. Punctuality and working to maintain our schedule are two of our most praised attributes. We install all types of flooring. We also do complete kitchen and bath remodels. We have been in business since 2014 but we all have 15yrs or more of experience with home building. We are licensed, bonded, & insured. Flooring, Counter Tops, Bathroom and Kitchen Remodels for all budgets. We offer Unique Carpet, Tile, Wood, Laminate, Stone, Vinyl, countertops and more. AK Brands Flooring is a top rated wholesale/Retail company in Downtown phoenix serving the entire state. *Authorized Mohawk Dealer* Yes, we are a small family owned business. However, our professional sales team and talented installers are here to serve you. Our goal is to meet all your floor covering needs. We are a small company of experienced professionals who are committed to excellence. Our low overhead and small team allow us to bring the products to you at a price you'll be happy to pay. We have nearly the entire Mohawk carpet line... over 200 laminate products including Shaw, Mohawk, and Inhaus....yes, its a tight fit... access to over thousands of products all without the cost of a huge warehouse. The result is the same great products at a lower cost to you. We strive to provide products that have been tested by independent companies and proven to exceed their expectations; as we are committed to exceeding your expectation. We are committed to actively learning about the latest floor covering technologies and better installation techniques. Other goals include contributions to our community, such as supporting our local charities; Hope Women's Center, Apache Junction Food Bank, United Food Bank, the G.E.A.R. station, and other similar charities alike. Apache Junction Store Hours: M - F 9 am - 5 pm Sat 9 am - 12 pm Closed Sundays 480.845.1530 *Call for after hours appointments.